At first it might seem very restrictive that you have to use a 'breathing apparatus' and other dive gear to be able to move and breathe underwater, but once you figure out the gear you will notice the massive freedom, the vastness of the ocean and the fact that you can suddenly move in three dimensions effortlessly and weightlessly. For those with extreme symptoms of claustrophobia it might be best to restrict you diving to very clear waters with good visibility. Most people's diving requires not much effort. 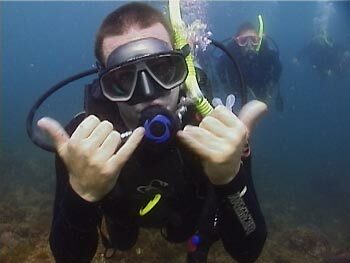 Diving is not an endurance sport and quite often if you plan your dive properly, you can let the current take you around a dive site and your fins are merely for steering. Having said that of course there are more challenging dives where swimming against a current and in strong surges are involved but you just have to pick your dive sites and ocean conditions to suit your swimming and diving skills. To earn your Open Water certification, all you need to do is tread water for 10 minutes and swim for 200 meters. As you can read in our shark de-mystifying article, the chances of being bitten by a shark are incredibly small. Reading the shark attack files it becomes apparent that most shark attacks on humans involve some kind of uneducated decisions by the people who get bitten. Grabbing a wobbegong's tail, spear fishing in sharky waters and dangling dead fish around your waist etc. Like most other animals, sharks are afraid of things that are big and move through the water blowing bubbles. In most instances shark attacks are cases of mistaken identity and sharks will quickly realise that humans are 'friends not food'. It is really us humans who are no friends to the sharks, but that is another story in itself. A big myth this one. First you don't need to buy all your own gear to become a diver. All diving courses will include the use of all equipment and when you are certified you can always hire gear if you can't yet afford it. Buying dive gear can just like any other sport cost every little or a fortune. You can buy second hand gear to start with and maybe not go for the latest and greatest high-tech dive computer to keep the budget low. 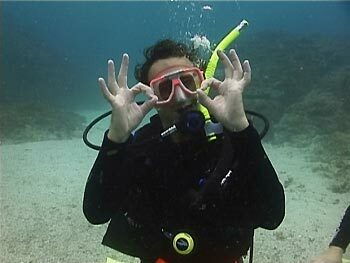 The best investment for an upcoming diver is to have your own mask as that of course is your 'window to the ocean'. After that many people consider their own wetsuit an important purchase, mainly for hygienic reasons .. of course some parts of this planet don't require a wetsuit at all and you can take the plunge in your swim suit, cossie, bordies ... etc. 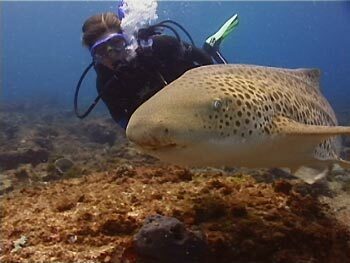 It seems quite strange that diving is often considered an extreme sport as both words don't really fit. Most people's diving activities are certainly not extreme and also not a real sport. This is why 'bigger' people quite often take a liking to the 'sport' of diving. It allows the weightless hovering in a three-dimensional environment. We would rather have diving classified as an adventure activity. In regards to the risk involved, statistics show that the injury rate in diving is very low, with 50 out of 100,000 participants as compared to many 1000's in many other sports such as basketball, soccer and even golf. Well, this is a pretty good reason for most people not to take up scuba diving as the typical trigger factors of asthma are present in scuba diving. The main factors here are breathing cold and dry air which is potentially very dangerous for people with asthma to breathe. Heavy physical exercise such as swimming against a current with a heavy tank on the back can produce breathlessness. Accidental inhalation of salt or fresh water can produce coughing as well as a narrowing of the airways. However there are many so called asthmatics than can be cleared to dive by a diving doctor (see also our full article on diving with asthma). 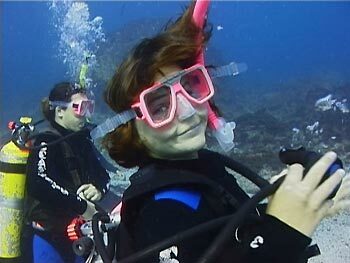 Most diving medical experts agree that if a person has had no symptoms or signs whatsoever of asthma for at least five years and has required absolutely no anti-asthma medication for this period, and has a normal diving medical examination including breathing tests, then they should be allowed to dive, after explanation of the risks. �Come on ... get a life, leave facebook and twitter alone for a moment and do something that will change your life forever. You are missing 70% of the planet if you don't experience our 'World of Water'. Diving is the best escape from the reality of life that you can imagine, everything around you is different, the animals you see, the way you move, the way you breathe, the way you perceive time and space ... you will immediately forget all the stress of 'normal life' and when you return to shore your mind will be refreshed and more efficient ... so you actually save time by taking the time to go diving. So, call you local dive shop, email a dive club in your area or sign up for a learn-to-dive holiday today and come back here to tell us about your new adventures.